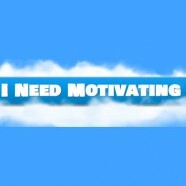 I started a new websites last week called I Need Motivating the site features 52 and counting inspirational and motivating videos, the goal of the site is to show you a random video to help motivate and inspire. Click on the ‘Motivate me more’ button to see another random video. If you like the website and it has helped motivate you feel free to share it with your friends or click the stumble button to help us get extra traffic. We would also love any video suggestions you may come across.